Our gorgeous wedding band features absolutely beautiful classic design! 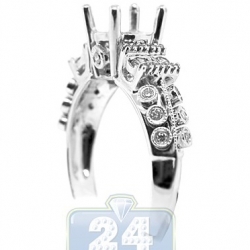 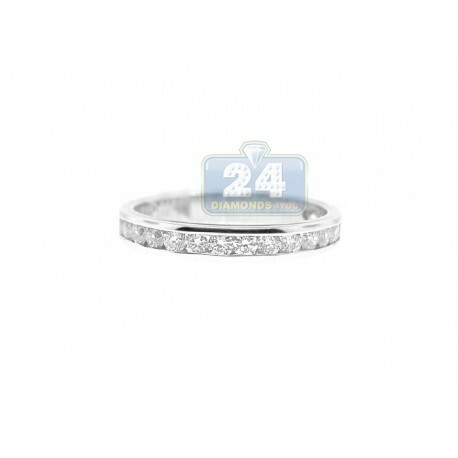 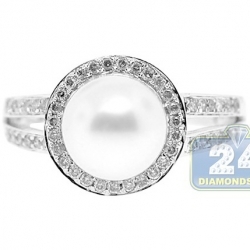 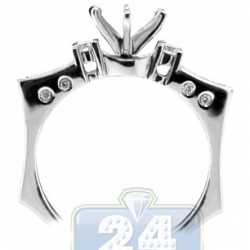 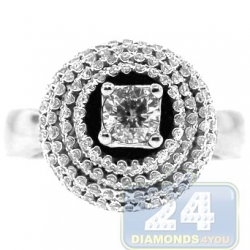 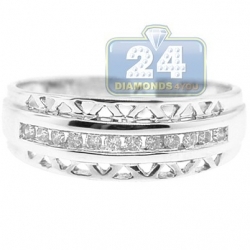 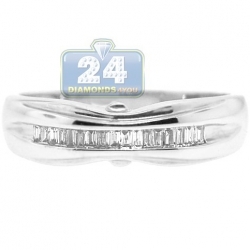 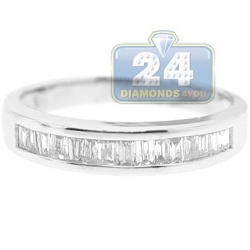 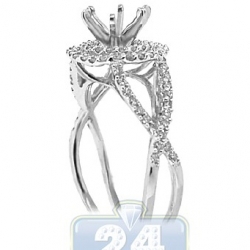 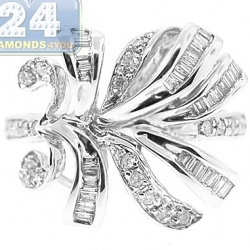 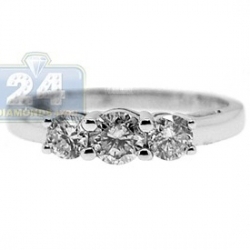 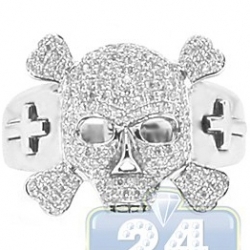 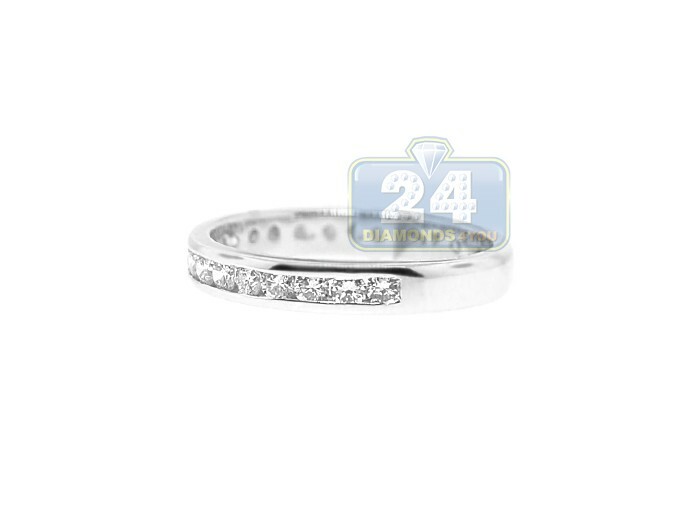 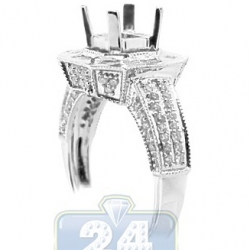 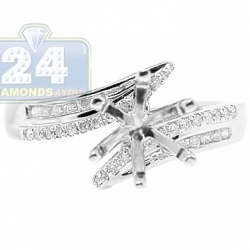 Its setting is professionally handmade of cool 14k white gold with high polished finish. 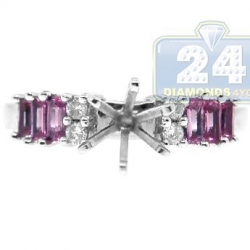 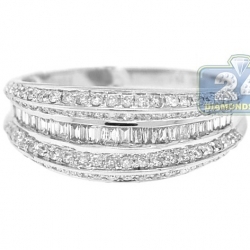 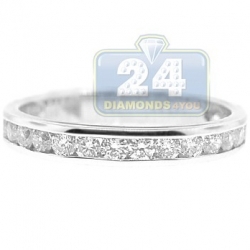 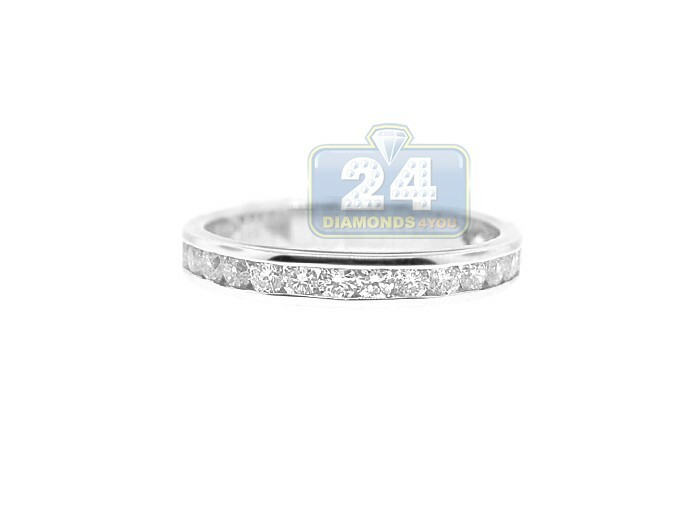 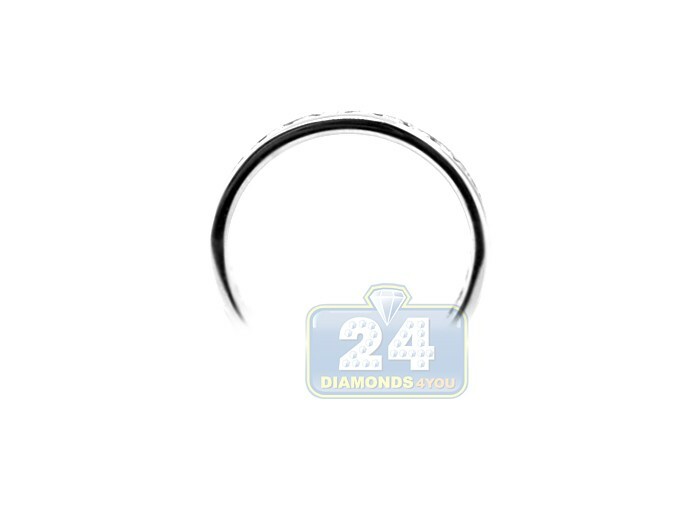 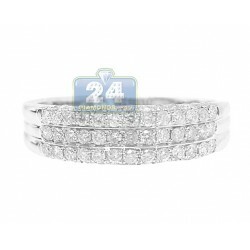 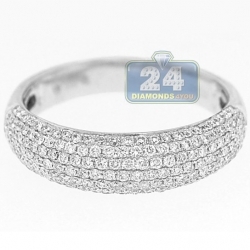 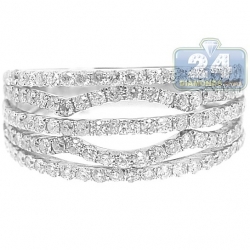 The band is channel set with perfectly matching round cut diamonds weighting approximately 0.77 carat in total. 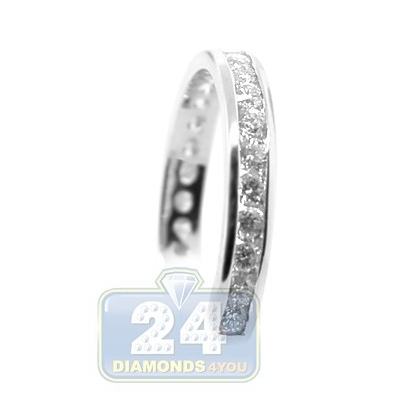 Each stone is natural, perfectly matching, eye clean and sparkling, with VS1-VS2 clarity and F-G color. 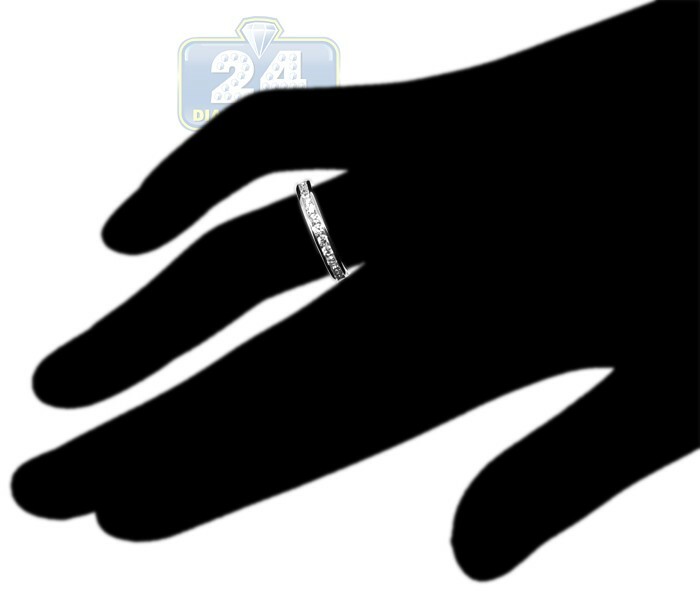 What a true display of your love!